In the late 1500's, enthusiastic cat owners gathered in the town of Winchester, England and held a "show" to compare their cats. Of course, this exhibition at the local fair was nothing like our cat shows of today. The winner of the competition in 1598 at the St. Giles Fair was not awarded best of breed, but the best of mouser! Almost 300 years later in 1871, the first contemporary cat show complete with benching cages was held in England. Harrison Weir, who is now considered the father of the cat fancy, conceived the idea of the modern benched cat show. Mr. Weir arranged for classes, costs, prizes and a show schedule – voila – the modern cat show was conceived and born! 160 cats attended the first cat exhibition in 1871. Four years later, a cat show in Scotland attracted 560 entries! In 1895, the first official cat show was held at Madison Square Garden, New York City. In 1928, The Governing Council of the Cat Fancy (GCCF) the Premier Registration Body for Breeding and Showing Cats in the United Kingdom. The GCCF was established as an independent body in 1910 and was formed from the three or four cat clubs who were registering cats at that time. In 1928, The Governing Council of the Cat Fancy Australia and Victoria, become the third cat registry in the world at the time and continues to this day. In Europe, the largest cat registry is Federation Internationale Feline (FIFe). FIFe can be considered as the United Nations of Cat Federations. In fact it is a federation of national members representing, at present (as of 2010), 39 countries with 41 full members and 2 countries with a probational member, but whose numbers continue to grow. Member organizations follow the same rules with regard to the breed standards, cattery names, shows, judges and student judges. The Cat Fanciers' Association (CFA) – the world's oldest, and largest registry of pedigreed cats! The Cat Fanciers' Association is a non-profit organization founded in 1906. The first cat shows licensed by CFA were held during 1906 - one in Buffalo and one in Detroit. 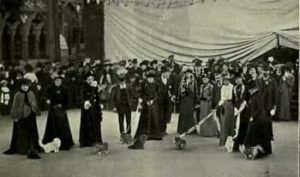 The first Annual Meeting was held in 1907 at Madison Square Garden. The Canadian Cat Association / Association Feline Canadienne (CCA/AFC) - Canada's only purebred registry. The American Cat Fanciers Association (ACFA) - The American Cat Fanciers Association was formed in 1955 by a group of Cat Fanciers seeking greater flexibility in the development of cats, the activities of cat lovers and greater freedom for growth and harmony with contemporary needs of the individual breeders and the broadening horizons of the Cat Fancy at large. The United Feline Organization (UFO) - no longer active.